Here’s a novel use for the camera on your iPhone. Do you hate the overhead of taking notes to keep tabs on your calories intake and having to worry about not exceeding your daily targets? 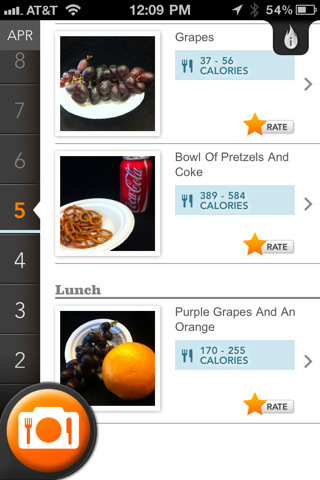 Worry not, all you need is the Meal Snap – Calorie Counting Magic app that takes the number crunching off your chest in a pretty ingenious way. You just launch the app, point the device at your meal and take a picture. 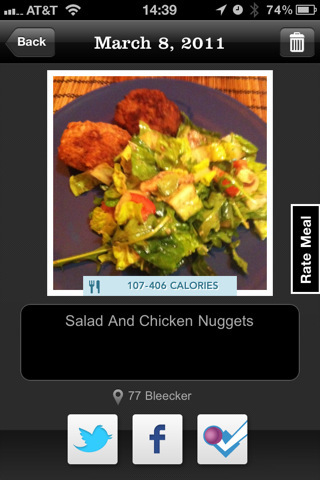 It then gets sent up to the cloud where some clever image analysis occurs, your meal gets recognized and voila – an approximated calories count automagically appears on the display. I’m telling you, it’s magic. 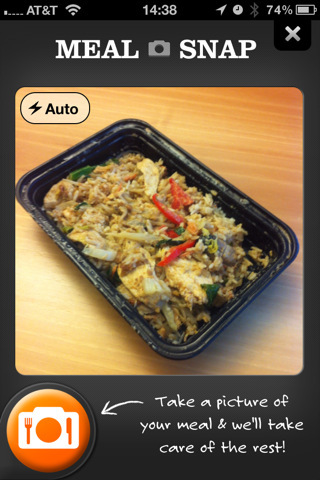 The Meal Snap app costs three bucks a pop and can be downloaded now for your iPhone and iPod touch from the App Store. More screenshots after the break.